Remember packing up your original Nintendo Entertainment System when your family visited relatives for a few days? You couldn’t possibly be expected to go a few days without Punch-Out! 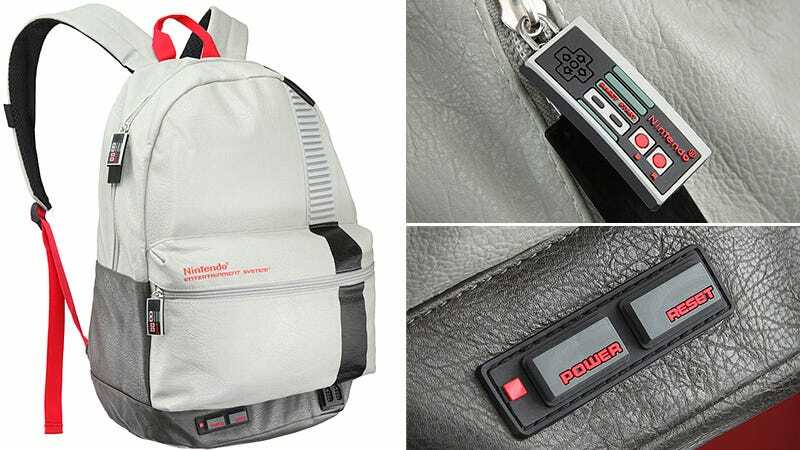 !, but it would have been a lot easier if you had an NES built into a backpack. It’s just too bad this one doesn’t actually play games. For $40 the faux-leather back does come with wonderful details like fake rubber buttons and a pair of non-working controller ports. And the zipper pulls are shaped like tiny versions of the NES’ pointy-cornered controllers, lest you ever forget the humble, and often uncomfortable, origins of modern console gaming.